Atlas snow blowers were in production in the early to mid 1970s, but are no longer available. Some models may be for sale or display with vintage equipment sellers and collectors. Some models, such as the 5 HP single stage and the 3 HP model, were sold by True Value hardware stores under their TRU-TEST brand and not under the Atlas name. The brand was eventually acquired by the Modern Tool and Die Company (MTD). MTD is an international company specializing in the manufacture of outdoor power equipment. It was founded in 1932 with headquarters in Cleveland, Ohio. From humble beginnings as tool and die suppliers, they expanded into steel stampings, the toy industry, and by 1958, they diversified into yard machines and produced their first lawn mower. MTD brands include Cub Cadet, Troy-Bilt, Yard-Man, Yard Machines, Bolens, McCulloch and White Outdoor. Their products are sold in home improvement stores, major retailers, independent and chain hardware stores, and farm supply stores. They also have several commercial lines. Finding parts for your old Atlas snow blower can be difficult. AtlasParts.ca is a nice place to start. Amazon and Ebay also carry some aftermarket compatible parts. Otherwise you might want to check on varying snow blower or home improvement forums for advice. MTD attributes its strong growth to customer satisfaction based on their track record for innovation and reliable products. The MTD product lines include a number of award winning items and the company boasts an international reputation for both quality and service. 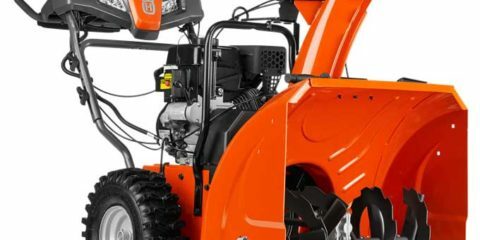 Any customer support for Atlas snow blowers may be available through the MTD Company. If parts for older models are hard to locate, have the original bill of purchase (if possible), and the model and serial number available when you call.